To get the QR Code for this unique Cap Pikachu in Japan, you need to go to see the movie, Pokémon I Choose You, then you will get given a special disc for the arcade game, Pokémon Ga-Olé. You also get this in the west at the movie showings This contains the QR Code which, when scanned, will give you the Pokémon seventh Cap form of Pikachu, the Partner Cap Pikachu. 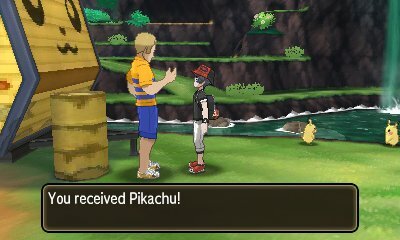 When you show a Pikachu in the valley a Cap Pikachu, including this one, you'll get the Pikashunium Z. To get the QR Code for Magearna in Japan, you need to go to see the movie, Volcanion & The Ingenious Magearna, then you will get given a special disc for the arcade game, Pokémon Ga-Olé. This disc contains the QR Code which, when scanned, will give you the Pokémon Magearna. The US received the code on the official site and Europe in the Pokémon TV app. This code works in all Generation VII Pokémon games. To successfully scan the code, you need to have defeated the Elite Four and become the Alola Region Champion. 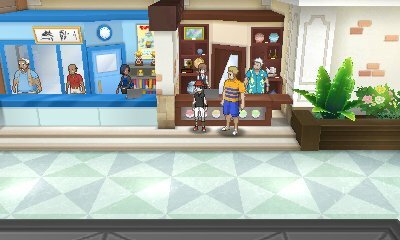 Then, go to Hau'oli City Mall's Antique Shop and you will be given the Magearna.